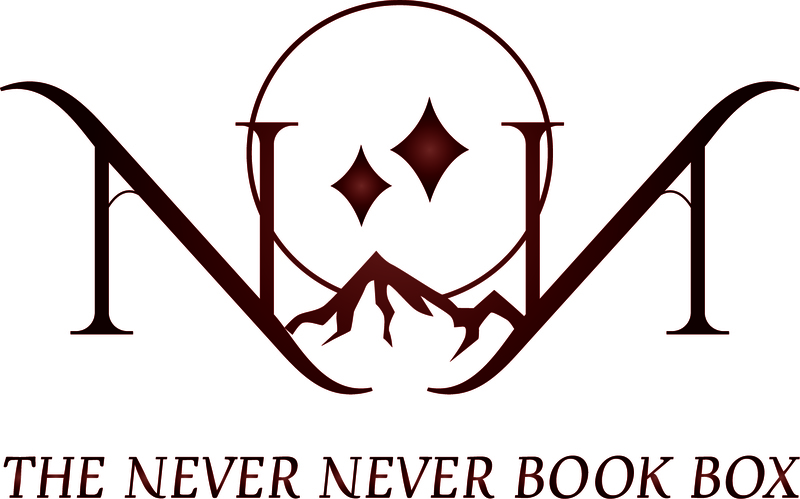 Here’s something new on the Australian SFF scene: The Never Never Book Box, a loot box for books. If you’re familiar with the concept of Loot Crate, which supplies its subscribers with a regular dose of geek pop culture stuff/junk, then you might wonder why nobody has done this before. If you’re not familiar, the idea is simple: every two months, subscribers receive a box packed with Australian spec-fic themed goodies, including at least one hardcopy book and one ebook code. Various other items related to the featured book – book plates, personalised messages from the author, bookmarks etc – enhance the experience. Other items included range from swanky journals, tea blends, games, toys etc. I’m all for endeavours looking for new ways to promote Australian speculative fiction. This one looks like a lot of fun. If you are coming to Conflux in Canberra this coming weekend, the Never Never crew will be launching the project and giving attendees a sneak peak at the sort of thing they can expect. That launch is 11 am on Monday, 2nd October at Vibe Hotel, Canberra airport. Just walk in the front door, you’ll see it. Since I can’t be there, I’m putting my money where my mouth is and taking out a half-year subscription to check out the Never Never Book Box. If you are looking for a really unexpected gift for the science fiction/fantasy reader in your life, this is perfect. And I’m not saying *I’m* a science fiction/fantasy reader in your life, but come on, you probably know one! Why not give them a birthday present that keeps on giving? Late edit: To get a small discount on your subscription, you can use this “Dave referred me” link. (I also get a discount, so you know, win-win. I will note I didn’t know about this until I subscribed, because apparently I don’t read the details any more). 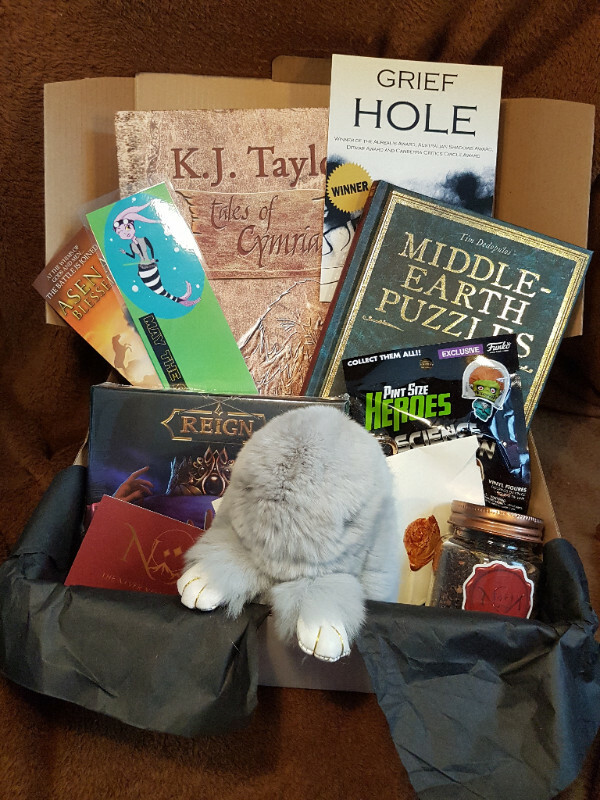 This entry was posted in Relentless positivity and tagged Conflux, k j taylor, kaaron warren, never never book box. Bookmark the permalink. This is awesome! Definitely hinting to husband that this would be a marvellous Christmas present. Are you still planning to be at Conflux on the Monday? Enjoy your anniversary break! I’ll still be in Brisbane on Monday. This will be one of the many exciting things I’ll be missing out on by not being at Conflux this year. Ah, well, you’ll be there in spirit! I will be there in spirit. Conflux has my grubby fingerprints all over it (eww!) I hope you have a great time. It really looks like a fun one! Yes, I’ve been reading your updates on the CSFG forum. Seems like you’re one of the main organisers! Conflux will be my very first con. First, but definitely not last. I’m heading up to Genrecon in November. Next year, Continuum and hopefully Conflux and Genrecon again, if I can manage it. But between all those cons we ought to be able to cross paths at least once next year.